Word of mouth has always played an important role in how well or poorly a business performs. If you consistently please customers by offering them great products and top-notch service, then they will be much more likely to communicate that good experience with others who are interested in the same products and services. Likewise, if you anger a customer due to negligence or other factors, then they become much more likely to convey that sentiment as well. Reviews are a reflection of this, but did you know that reviews can affect your performance in other, more subtle ways? In the following article, we’ll outline some reasons why your local brand or business should have a review system in place and why you should care about the quality of those reviews. Whenever users are pinging to Google queries on nearby businesses in your niche, don’t you want to be featured? The use of a review-based system is a great way to ensure this, as Google now features reviews prominently in Maps search than ever before. 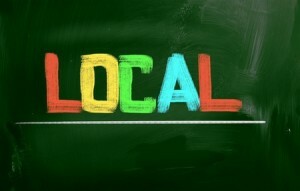 What this means for consumers is a quick way to find the best local businesses that meet their needs. Inversely, it can make the difference for you between a sale and never being seen. As more and more businesses implement online-based review systems, even the smallest of brands will ultimately be forced to adapt in order to maintain an effective search engine presence. The fact that measurable SEO benefit through this action is available now, however, means you should act today! Those who use their smartphones to find information about local establishments are seeking the most amount of information in the shortest amount of time. Google has balanced both its algorithms and its mobile functionality to provide users with as many details as possible on one page. Reviews are another one of these elements (after all, who doesn’t want reviews of local businesses at their fingertips? ), and can serve as a great way to boost exposure and encourage otherwise sceptical people to visit your business. Local listings with reviews have a much greater chance of being featured at or near the top of local search results when compared to those without reviews; since mobile traffic now comprises 25% of internet traffic, you don’t want to underperform with this key demographic. When you create PPC campaigns via Google, you hope that your bid is high enough to garner exposure in the targeted niche(s). There have been observations that tend to suggest that reviews play a role in the amount of visibility you can expect through Adwords. As you may have already noticed, the average rating from reviews is featured alongside the website in Adwords campaigns, which helps further convince those who are pinging to Google requests for products and services make better decisions. You should not only look at Adwords as an opportunity to reach new audiences, but to also persuade them – through the power of reviews – to select your local brand over others.